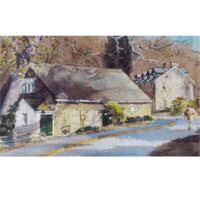 The Phillips' Mill Community Association is a tax-exempt membership organization dedicated to the appreciation and preservation of the artistic and cultural heritage of the Bucks County area. Members have volunteered their talent, energy and time to the Mill since the Association was formed in 1929. Amateur as well as professional painters, sculptors, photographers, directors, thespians, and playwrights as well as those interested in performing and fine arts have joined and served the organization.